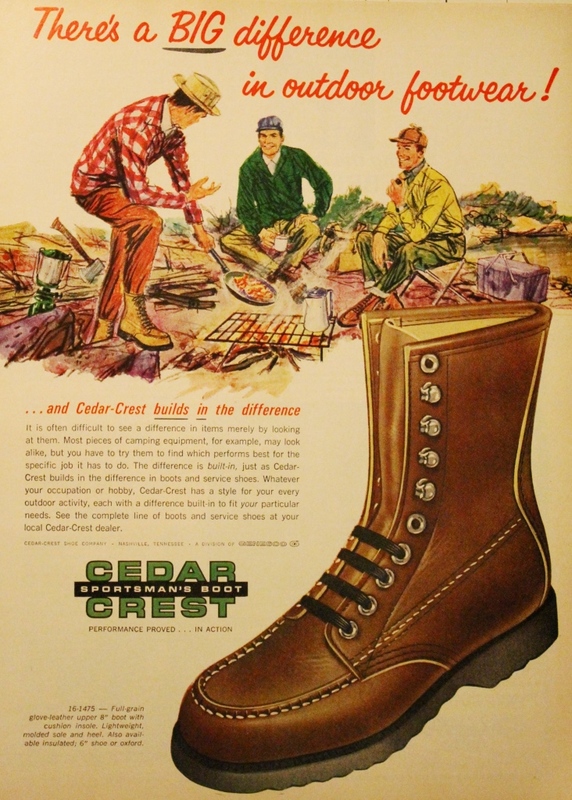 Not that those shoes are intended for use as suggested by this ad, unless they have fancy aluminum crampon bars attached to the soles, but even then their finish would surely be marred. While it might be hard for some to imagine a reasonable person wearing those shoes anywhere but to the office or a funeral, my experience at Fish in a Barrel Pond is with fly fishers, not reasonable people. 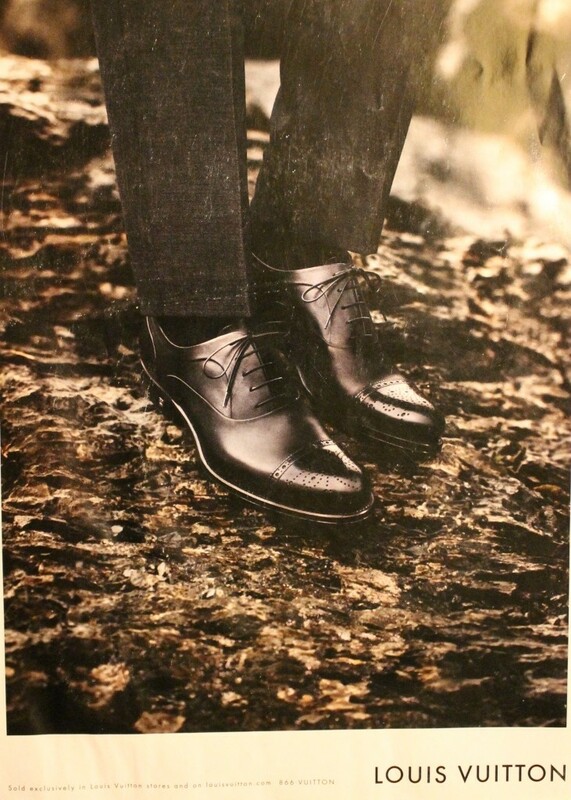 With no proof whatsoever, our assumption is that the model wearing those shoes is the same guy we tried to help out a year ago with Flashback Friday: The Style Issue. Our advice unheeded, he gets credit for venturing stream-side but we’ve got to do something about those shoes, even though he also gets credit for wearing shoes with laces rather than tassels. No boulder-strewn wilderness with wild waters to sweep one away, the property surrounding Fish in a Barrel Pond nonetheless presents a veritable obstacle course of rocks, tree roots, mud and goose poop. Proper footwear and latent, goat-like nimbleness allow me to move easily, hopping and skipping over and past whatever nature puts in my path, to the point that the biggest challenge I face each week (and still struggle to conquer) is the level, paved surface of the local grocery store’s parking lot. I even hope to some day cross the carpeted lobby at the bank instead of throwing deposits to the tellers across the room, which I only do because they get upset when I wade across their fountain and leap from desk to desk to reach the counter. Quill Gordon’s usual style is as inappropriate in a world of flat surfaces and carpeting as is that of a Louis Vuitton model around here, but even Quill Gordon owns a pair of black wing-tips and, if old Thurston Howell VI there is going to keep coming around, it would be irresponsible of us to not at least try to help him keep his footing, Flashback Friday-style. For those who prefer to loaf in comfort. 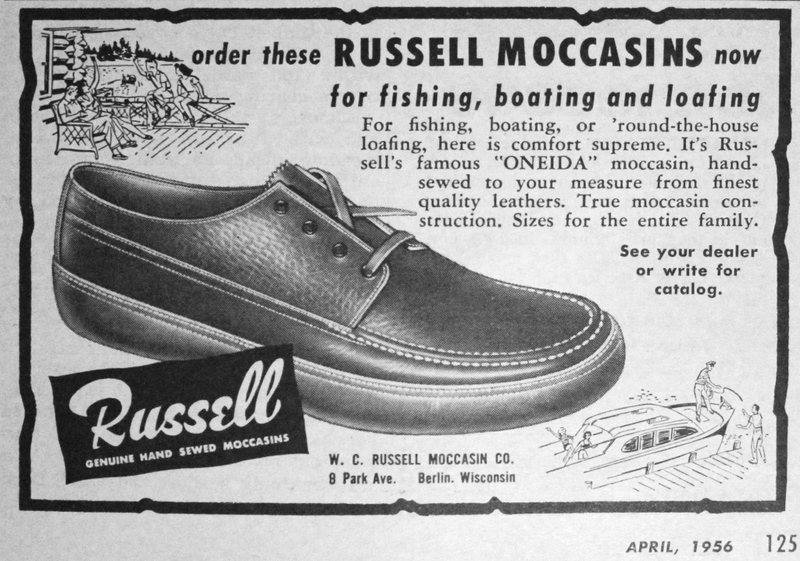 Our boy doesn’t seem like the type to do much of anything if he can avoid it and pair of “hand-sewed to your measure” Russell Moccasins seem perfect for him, promising “comfort supreme” while he does not do things. The Park Ave. address ought to seal the deal, we think. We can see there’s an active fellow who was so excited he had to sit down and just admire his new Red Wing boots. Of course, he might be sticking them up there for everybody to see, hoping they’ll think he’s a mountaineer and not notice he’s fishing with worms. A good pair of boots, properly cared for, can last a lifetime and outlast a war. 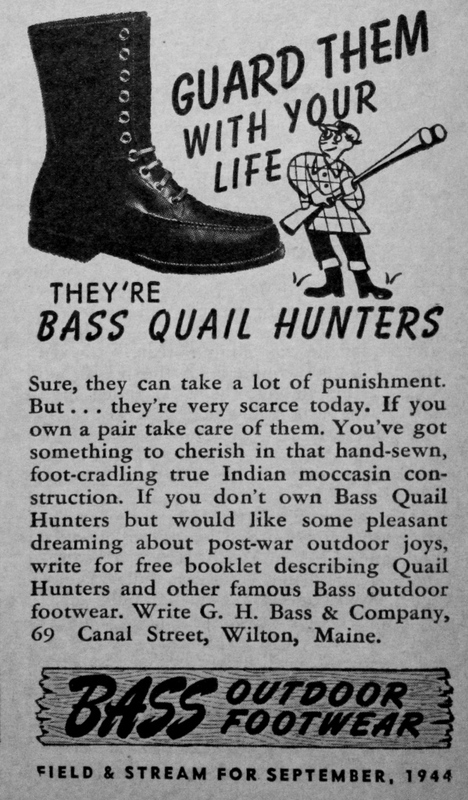 Bass Footwear had us looking forward to post-war outdoor joys and their Quail Hunters would have been a much smarter choice than those leather-soled abominations Thurston’s people put him in for that Louis Vuitton shoot. Comfortable protection while cooking breakfast! Snazzy dressers need not worry about sacrificing style when choosing outdoor footwear, as shown by the fellow in the red and white plaid up there. His feet won’t feel a thing when he dumps that pan of bacon in the fire and spatters flaming grease all over himself. Avoiding grease fires by taking to the water. This MAN is staying far from trouble — and work — by fishing while his companion deals with grease and hot cast iron, although it looks like breakfast will be hitting the water if he doesn’t get back to shore soon. 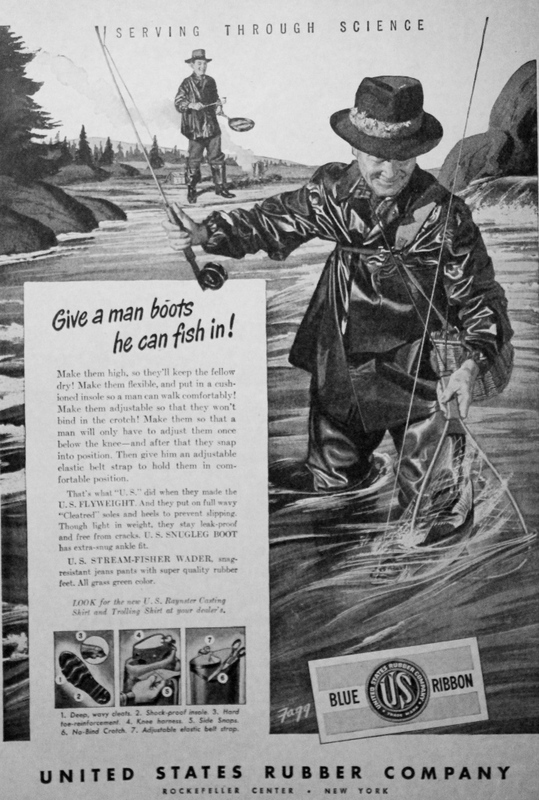 Marx Rubber Company’s “totes” were stretchy and non-binding enough for a fellow to bust a few moves while not actually fishing. With one shoe off and one shoe on, though, we’re not sure he’s the best model for their new(!) wading shoes. With a comfortable spring steel arch! 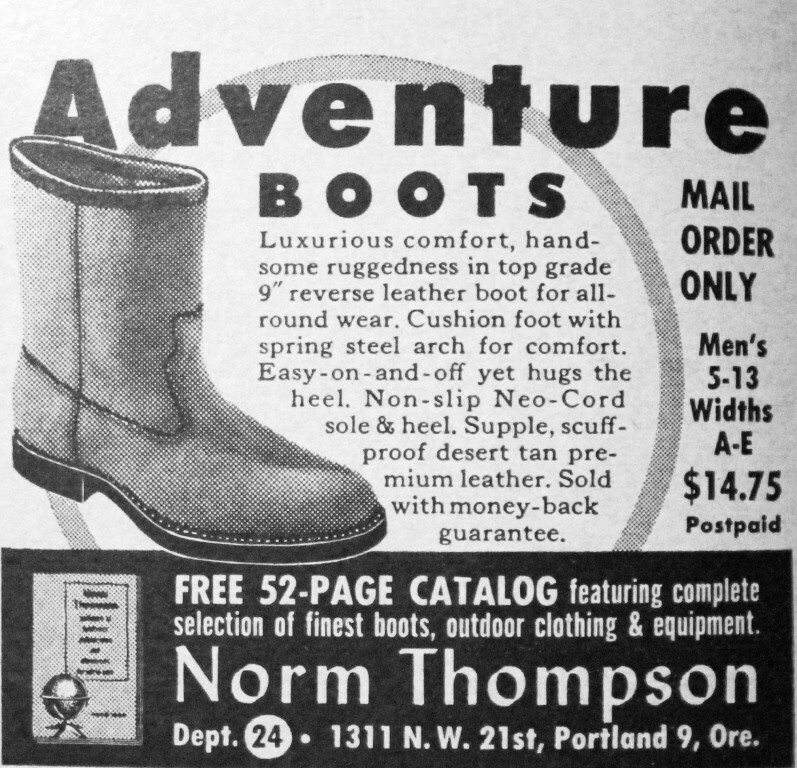 It has probably been a long time since two men sat down to talk shoes and used the word “luxurious” but if all you’re after is looking the part, Norm Thompson also threw in a helping of handsome ruggedness to boot! 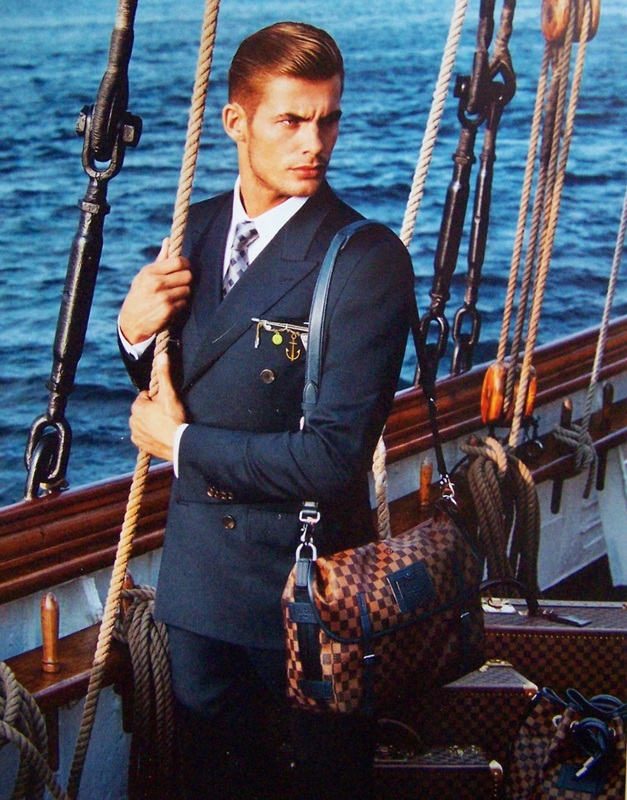 Our friend Thurston Howell VI, the Louis Vuitton model, would be well-served choosing any of the footwear options we’ve presented today. We’re just trying to help him out before either he or his feelings get hurt and maybe a few of our fly fishing friends could benefit from all this, too. 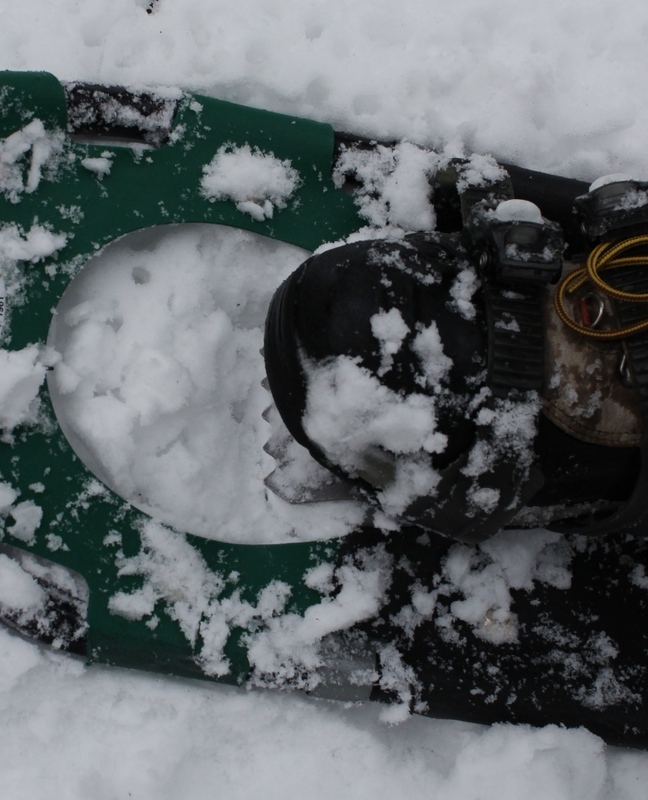 After all, the last thing any outdoorsman wants is to look silly. Well, it was nicer taking photos of magazines indoors than being outside in the sleet! Flashback is right, Quill! I remember owning a pair of those seamless rubber waders back in yesteryear. If my memory serves me right, very easy to put on. Sweat like a bugger though, and, if you happen to get ’em caught on some barbed wire or something else sharp, look out. Like getting a “run” in a pair of women’s nylons.